The long weekend has officially left us, and we’re all feeling a little less than ourselves because of it (come back soon please bank holiday!). It’s our job to remind you just how fantastic this city is after 5pm and that weekdays ain’t all that bad. Whether for immersing yourself in some culture, enjoying some of the best food and drink the city can offer or picking up some bargains after work, Sheffield ticks all the boxes. Read on to find our five picks of things to do here after 5pm! Finally it’s back (hands up who’s been counting down since Kem and Amber claimed the crown last series) and ITV2 have some big boots to fill. At Forum you’ll be able to put all your eggs in one basket and witness the beginning of the rest of your weeknights from 9pm for the foreseeable future, and watch the launch of the new series. At only £8 for a guaranteed seat, cocktail on arrival AND a slice of pizza, what more could you want? To book your tickets, call 0114 280 8222, email bookings@forumsheffield.co.uk or click here. This year it’s 100 years since Parliament passed the law which granted access to women (and all men) to the right to vote. To mark the occasion, Blackwell’s is taking part in Vote 100 and hosting an evening of talks and discussions on the suffrage movement, with particular focus on Sheffield and its surrounding areas. On the night, writer and historian Jill Liddington will speak – she’ll also be signing copies of her book ‘Rebel Girls’. Register for your free ticket via Eventbrite, or call 0114 278 7211. 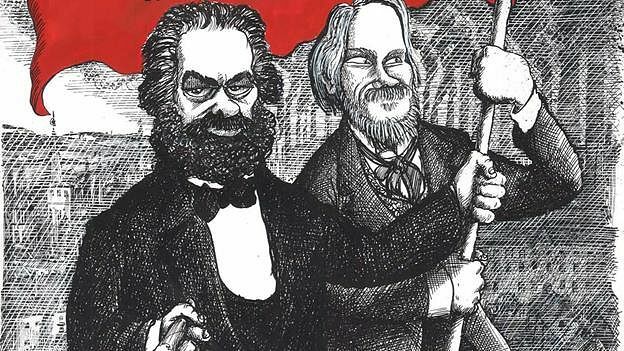 Learn more about Karl Marx and Friedrich Engels’ 1848 Communist Manifesto at Sheffield Central Library this Wednesday and hear The Guardian cartoonist Martin Rowson discussing the manifesto and his new graphic novel version of the text, alongside comedian and broadcaster Mark Steel and political philosopher Nina Power. Tickets are free and can be registered for here. Kicking off Sheffield Doc/Fest’s 25th edition in the city, Sean McAllister will return to Sheffield to premiere his latest film, ‘A Northern Soul’ to audiences at City Hall. Following success in 2015 for ‘A Syrian Love Story’, which picked up a Grand Jury Award, McAllister’s newest work reflects on the changes his Yorkshire hometown has undergone in the face of Brexit. Doors open at 6pm, the film begins at 6:45pm. Book your tickets ASAP! As always, we’d love to see your posts and photos from your evenings in the city. Use #SheffAfter5 so we can have a nosey!